All items shown below are for sale at discounted prices (as shown in Canadian dollars). 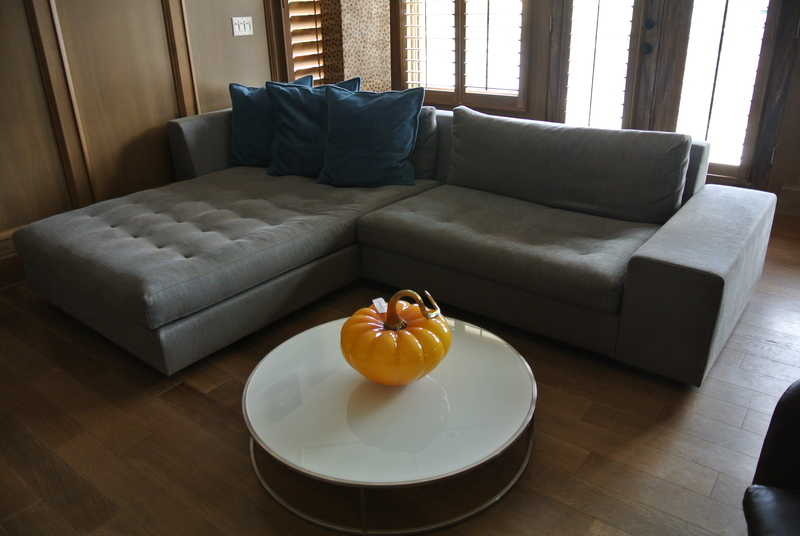 Revision Interiors is an online modern furniture store that I started in 2005. I love modern furniture and want to share the beauty of it with as many people who care for it as much as I do. A bit about me? I have worked in one of Vancouver’s premiere design showrooms, Inform Interiors, for the past 8 years after graduating from Emily Carr’s Industrial Design program. 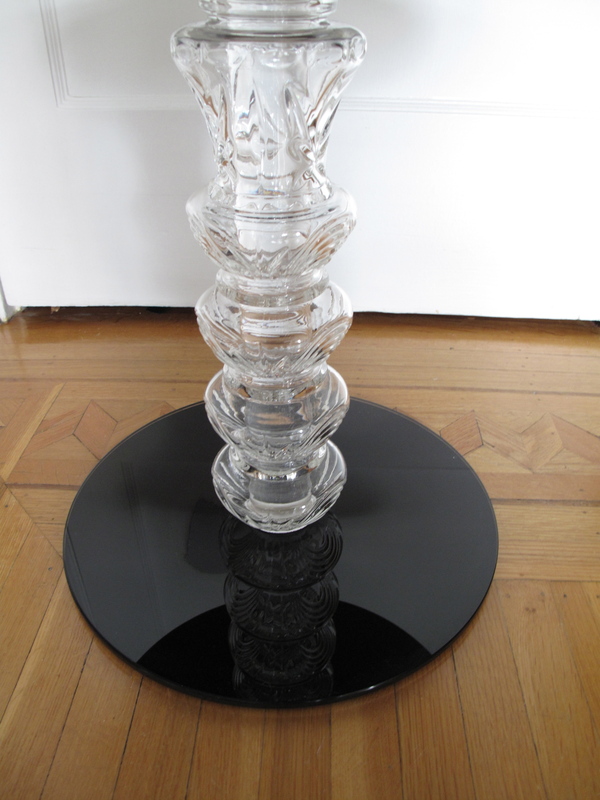 I have learned a great deal on how to buy, sell and recognize original modern furniture. Unfortunately, there are a great deal of ‘knock-offs” out there and we can’t be too careful if we wish to buy originals. Why buy fakes when you can have the real deal? Sometimes, the things we love in life may be a little out of our grasp financially. Revision Interiors offers to assist you with acquiring these coveted pieces of modern furniture, at a price that may be more realistic. That is, as long as you don’t mind it being previously loved! 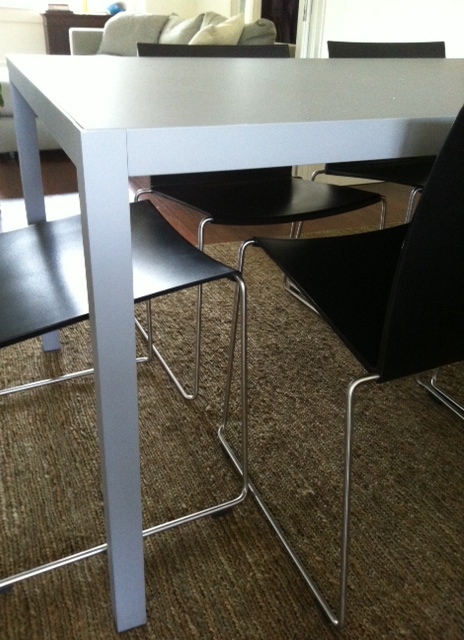 If you have a piece of modern furniture that needs a new home, then I’d love to hear from you. I will endeavor to update this site as soon as I get new listings. A new website is also in the works. Designed by John Pawson for Driade – Cherry Wood Bed (European King Size) with integrated side tables. Mattress included. Hence the creation of one of the Company’s most successful items. It is not merely inspired by the past but, instead, offers an excellent solution for themes such as modular elements, comfort and removable covers, which have been solved with an innovative spirit. Metal, plastic, glass. Halogen 230/125/12 volts. Halogen 50 Watt bulb (125 volts: 35 watts), socket GY 6,35 and auxiliary bulb 5 watts, socket G 4. Electronic transformer black, with continuosly variable dimmer. 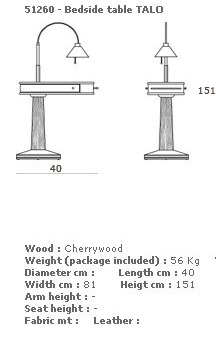 The top part of the stem (above 100 cm) is flexible and can be arrested in the required position by moving the stainless-steel weight. Reflector fitted with protective glass cover. Reflector and shades freely rotatable.Nextel finish, choice of blue, grey, black. Complete with bulbs. Satia Art & Floor was established in 1998 in Vancouver, Canada and is operated by Bijan Koukpari. Bijan has been in the handmade carpet business since 1976, first at his father’s Persian Carpet Import company in Germany and from 1981 to 1996 in his own Carpet Import company in Frankfurt, Germany. These years of experience are being used to innovate new products and to provide the ultimate customer satisfaction. Since 1998, Satia Art & Floor has experimented in using Mohair and Cashmere in Tibetan Carpets. By now, these royal fibers are being used routinely to produce exclusive carpets of extraordinary quality. Satia Art & Floor is using Cashmere, Mohair, Silk and selected grades of Sheep-wool to provide the right choice for each client, and with the installation of an effective inspection system at the manufacturing facilities of the carpets any order is guaranteed to meet our exceptionally high standards. Fibre texture and timeless design combine to create a unique and long-living rug. Our rugs are created with the Tibetan hand knotting system with Tibetan sheep wool. Selected hand washed and hand carded wool provide a color variation from dark silver to gold in the base of the hand spun yarn, so that it will generate a remarkable texture after the dye. The knotting system allows the yarn to hold itself to the structure by a knot and therefore the carpet can be washed without being dissolved. Which is very important for a long term maintenance. Each produced carpet will be a charismatic and unique piece, although custom produced under the schematic of an industrial order form. 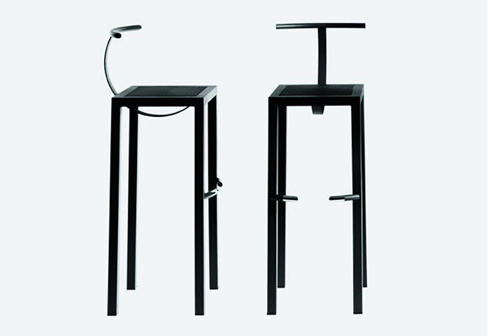 A balanced contrast to the perfect industrially produced furniture. The texture of the carpets could also be compared to the texture of wood, in the sense that the texture of a wooden table would never be exactly the same as any other wooden table. Its beauty lies in its uniqueness. Tibetan sheep wool is naturally more soil resistant and more durable than other sheep wool. The sheep in Tibet have to withstand enormous temperature fluctuations during a year, which result in soft and strong fibres. If treated well, Satia carpets will easily survive the generation of its buyer. Wool Expulsion: Due to lower twist count of the handspun yarn, the carpets shed for a period of time. Either until all loose wool fibers above the knot are off the carpet or until remaining wool fibers above the knot felt. The felting process may take up to 2 years. The wool expulsion depends on the usage of the carpet; a rule of thumb is 4 to 6 months. During this time the carpet may gain a little on luster. Wool expulsion should be removed with routine vacuuming. All remaining hairs which are going through the knot will enjoy a long stay. It’s a trick only Charles and Ray Eames could pull off: Chairs designed in 1958 as outdoor seating still look both classic and contemporary in 21st century interiors. The lounge chair’s clean, curvilinear lines enhance any décor, and the new 4-star base suits the lounge perfectly to your home. 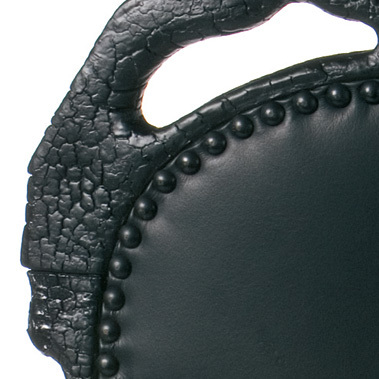 Available in leather, these lounge chair conforms subtly to your body’s shape and maintains your comfort. Graceful silhouette, innovative comfort features, timeless design. 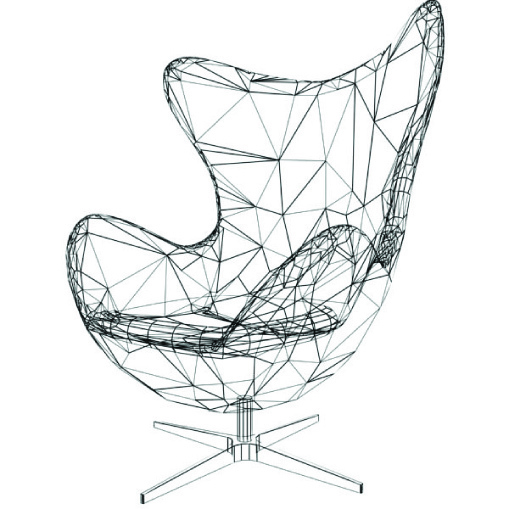 Obviously Eames. The high-backed lounge chair has a deep, comfortable “sitting pocket.” A matching ottoman is available, and the chair now has new finish and material options with a 4-star base. Recognized as a 2014 IES Progress Report selection and listed as a DesignLights Constortium (DLC) qualified product*, the Lightplane Round 3 is a highly efficacious LED luminaire with an integrated driver that delivers up to 96 lm/W depending on the lens option selected. Compact in size with a 3″ diameter channel, Lightplane Round 3 produces direct, indirect or direct/indirect Illumination. When specified as a direct/indirect luminaire, a dual circuit option allows the uplight and downlight components to be controlled separately. Individual or continuous row-mounting. Crown Your Design with the Efficiency of Round. a dual circuit option allows the uplight and downlight components to be controlled separately. luminaire on the market with an integrated driver. Dimension of this fixture: 7′ Length x 3″ Dia. Condition: This fixture has a 7″ scratch on the upper surface on one side of the fixture in a relatively concealed location (see photo). Otherwise, this fixture is in excellent condition and has never been installed. 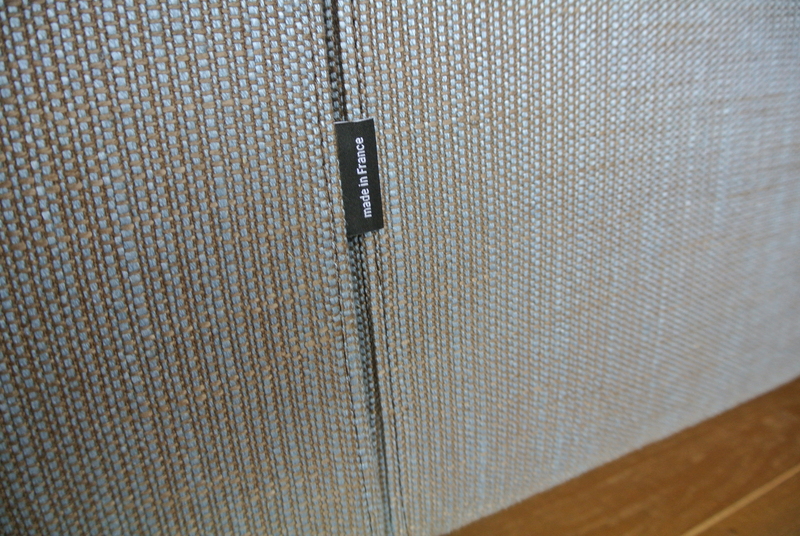 the tokyo-pop collection marks, in 2002, the debut on the international scene by tokujin yoshioka, now considered one of the masters of contemporary design. the sofa, the armchair and especially the day-bed and the stool, forget the banality of rotational molding to become sculptures. unforgettable and unusual shapes. seats and tables. white or black anthracite plyethylene monobloc. Designed by artist and sculptor Andrea Salvetti, he says he was inspired by a sculpture that depicted the Madonna holding the dead Christ. 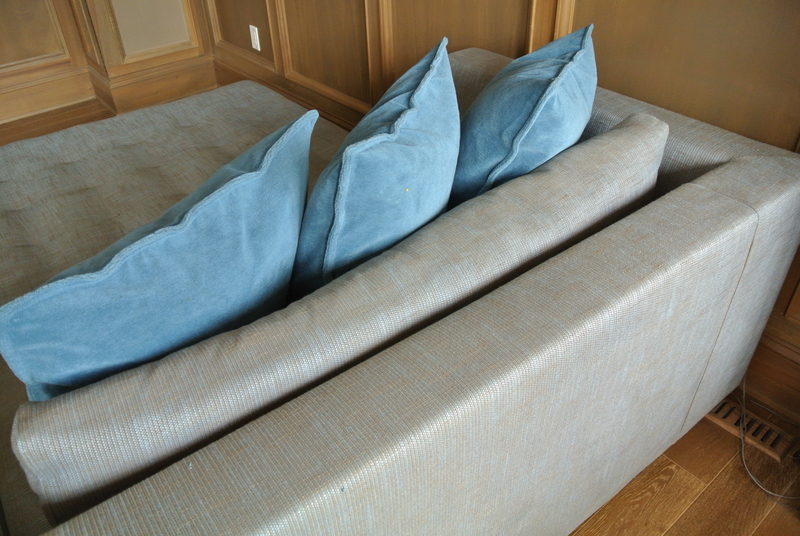 ”Classic, chic and comfortable, international and timeless.” With only a handful of elements, all of which are characteriszed by their irreproachable proportions, it is possible to create a wealth of different settees and corner compositions. In my former house I had a fabulous antique decorated plaster ceiling. I called it my Skygarden, it always looked good even without me having green fingers or taking care of it very well. It didn’t need water or sun but would live only on the warm rays of the electrical light under it. I loved it so much that by the time I moved houses I could not leave it. I had to find a way to take it to my new home. I took my tools and stole it from the ceiling. This fabulous piece of history is now secretly hidden in a minimalist architectural sphere in the heart of my new home where I can enjoy it with friends. Two fantastic examples of B&B Italia ‘Sity’ Collection by Antonio Citterio. Classic 1990’s B&B Italia. Antonio Citterio took his diploma in architecture at Milan Polytechnic in 1972 and opened a practice that year in Lissone with Paolo Nava. As an industrial designer, Antonio Citterio worked for prestigious firms such as B&B Italia, Flexform, Hansgrohe, Iittala, JCDecaux, and Kartell. Antonio Citterio also designed office furniture for Vitra and Hermann Miller as well as numerous lamps for Ansorg, Flos, Belux, and Artemide. In 1986 Antonio Citterio designed the “Sity” sofa for B&B Italia and, in 1990, he collaborated with the designer Glen Oliver Löw on the “Antonio Citterio Collection”, a line in office chairs for Vitra. These office chairs ensured anatomically correct posture without obstructing freedom of movement. 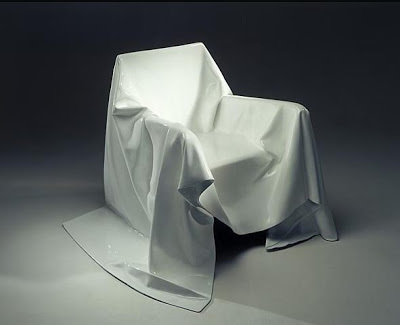 In 1994 Antonio Citterio designed “Mobile”, a mobile container, for Kartell; made of translucent plastic, “Mobile” caused a stir at the time as an exciting innovation. 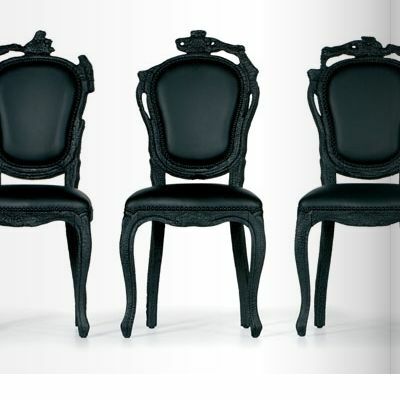 Antonio Citterio’s designs are orientated toward the newest technologies and materials yet are timeless. In 1979 and again in 1987 Antonio Citterio was awared the coveted Compasso d’Oro. 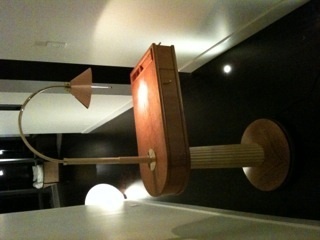 From 1981 Antonio Citterio also worked as an architect and interior decorator. From 1987 until 1996 he ran a practice with his wife, Terry Dwan. 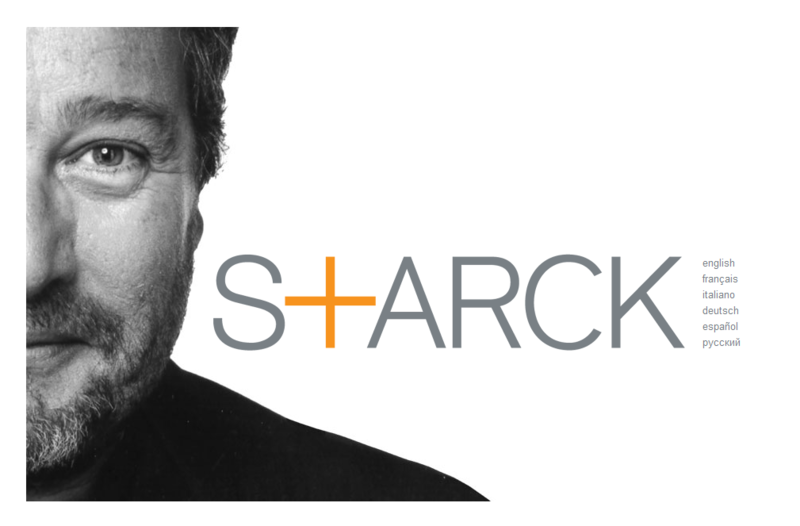 In 1999 the new practice, Antonio Citterio, Patricia Viel and Partners, was launched in Milan. Antonio Citterio has designed numerous flagship stores, including for Cerruti (Milan 1996, New York 1999), Emanuel Ungaro (Paris 1999), Stefanel (Milan 2000), Zegna Sport (Los Angeles 2000), and Valentino (Milan 2001). Condition: Consistent with age. Overall, very good condition. Icaro by Artemide – Slightly playful, great styling. Stylish people know to appreciate descreet hints. This also applys for lighting elements for their living spaces. The wall lamp Icaro with indirect light emission provides elegant discretion. This is also achieved by its stylish grid-diffuser. Condition: Excellent – Briefly installed. 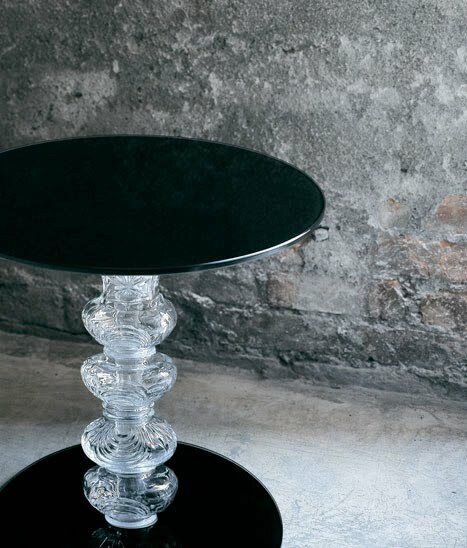 ‘Calice’ Table Size 2 – Designed by Piero Lissoni for Glas Italia. Immaculate condition-no scratches. 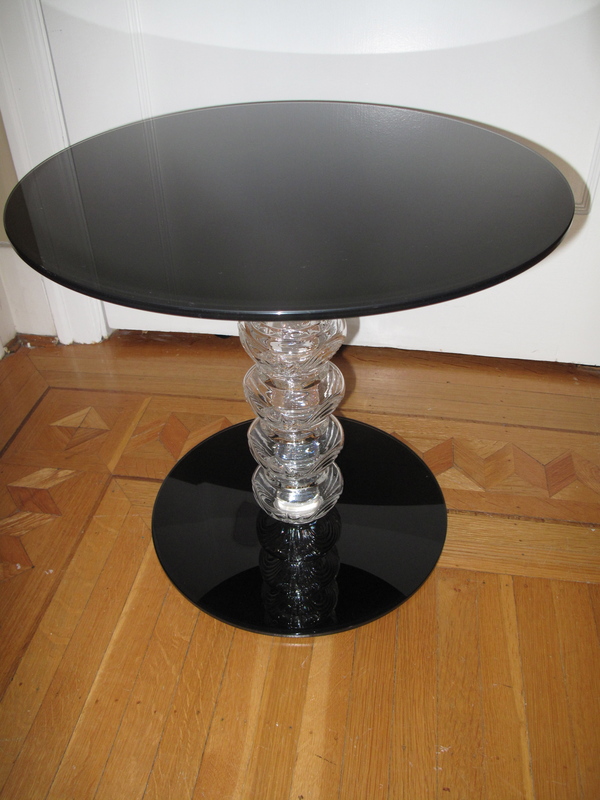 Round low tables available in two heights with top and and foot in tempered mm 8 thick black lacquered glass. 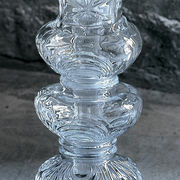 The base is in shaped blown glass, with decorations engraved on the surface. 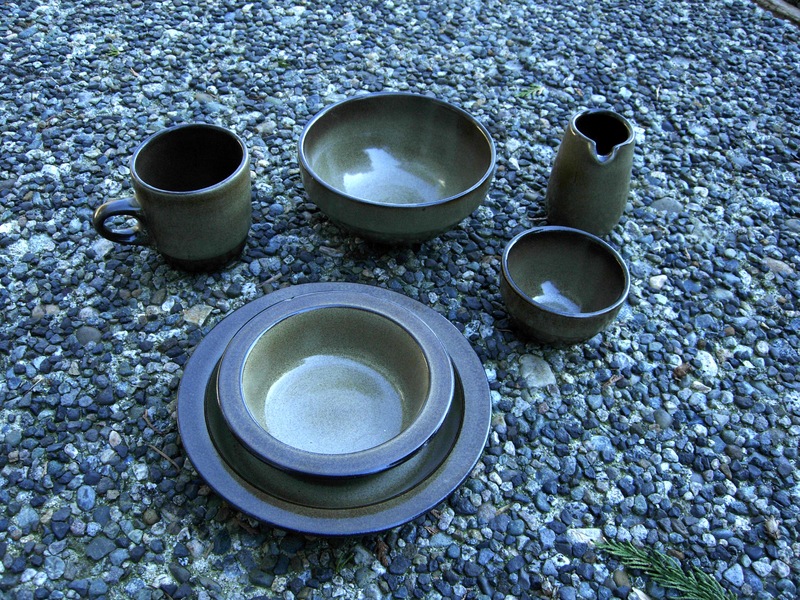 Edith Heath (1911–2005) founded Heath Ceramics in 1948 after her solo pottery show at San Francisco’s Legion of Honor. She was a talented ceramicist with a great respect for craft and material, and a strong point of view on the product that her company would make — simple, good things for good people. Edith’s passion for ceramics led to advances in clay and glaze development, which secured Heath its unique place in ceramics history. Her pieces were designed to enjoy a single kiln firing, at a lower than normal temperature, thus saving energy, while remarkably producing a durable and non-porous product. This Great Depression mentality motivated her to design and produced long-lasting products with integrity, in a responsible manner. Today, over sixty years later, Heath Ceramics is considered among the most enduring examples of mid-century design. Found in restaurants, homes and museums worldwide, our name is synonymous with simple, functional and thoughtfully designed tableware and tile. As well, many of Edith’s original pieces live in the permanent collections of museums such as the MOMA and LACMA. Heath Ceramics iconic tableware and tile are still made in small runs on the premises of our Sausalito, California factory, just as they have been since 1948. They employ fifty craftspeople to produce high quality, durable pieces that blur the line between everyday objects and family heirlooms. 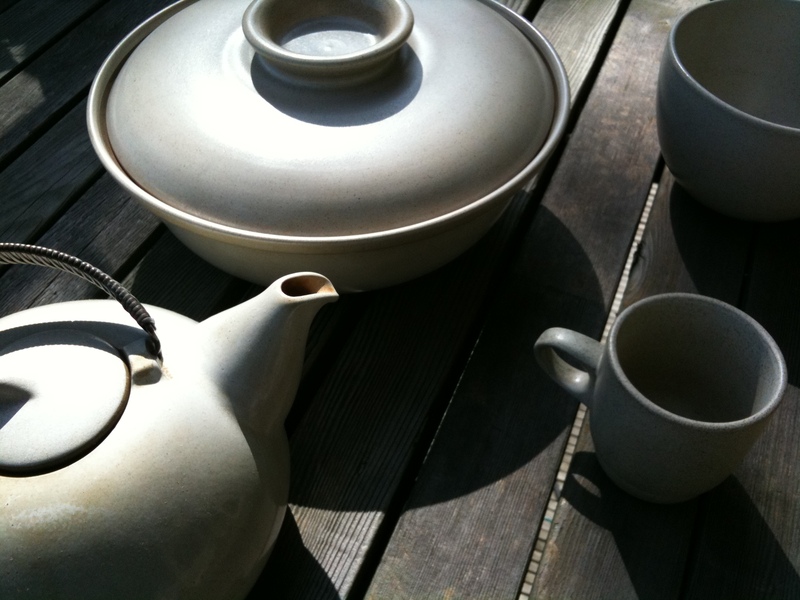 Their ceramics continue to be — and will always be — made beautifully, thoughtfully, and locally. Condition: Supurb – barely used, if at all. 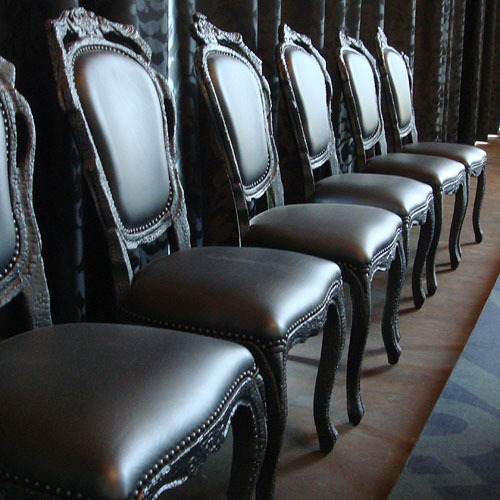 A rare opportunity to purchase Maarten Baas’ famous ‘Smoke’ chairs. The smoke chair has a repair kit underneath the seat in case of emergencies. 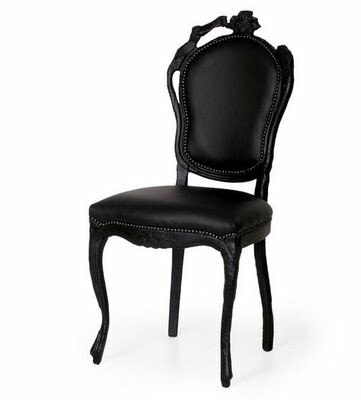 The Smoke series of furniture should be lightly dusted regularly with a feather duster and a damp cloth. 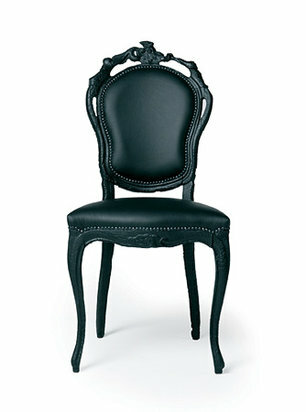 To clean the upholstery Moooi recommends using a soft damp cloth. Moooi recommends always reading the label of any cleaning product you wish to use on or near any item from the Moooi collection. Asking Price: $ 1,500.00 ea. 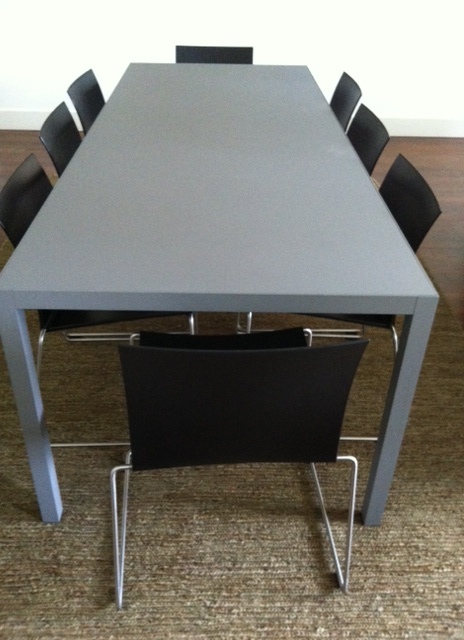 Tubular steel frame painted anthracite grey and steel mesh seat with same finish. 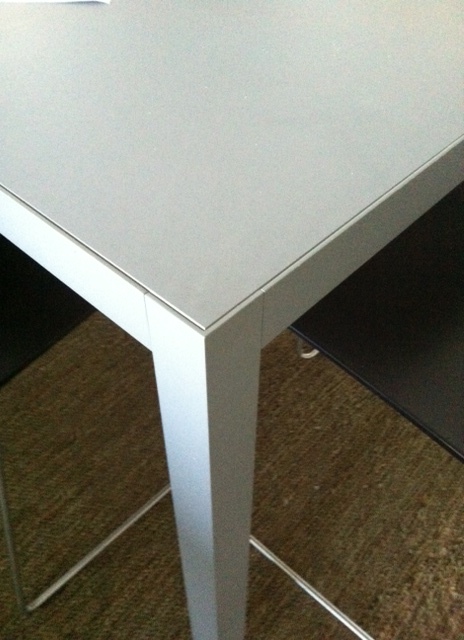 Available in a low version for tables H. 90 or a tall version for counters H. 110. Indoor use only. Bedside table-servant with the main column in solid hand-crafted maple, the cherry wood top, the base in cast iron and cherry wood with the solid polished ebony trim. 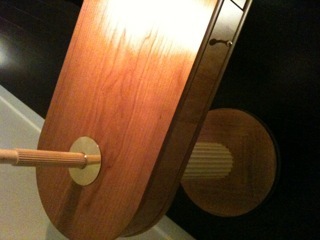 The lamp is in polished brass and copper. A special swivel mechanism inside the column enables the independent rotation of the top (180°), of the drawer (360°), and of the lamp (320°). The wax polishing is applied by hand so as to protect and enhance the beauty of the unique wood pattern over time. Without a doubt, a true conversation piece!